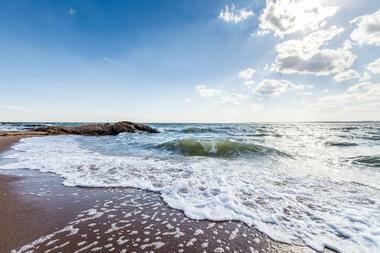 For such a small state, Connecticut has more than its share of beaches. From the unmodified natural sand dunes at Waterford State Park to the white sand beaches at Harvey's Beach, there's something for everyone. During the summer time, most beaches in Connecticut require a parking pass, but many offer seasonal passes as well. 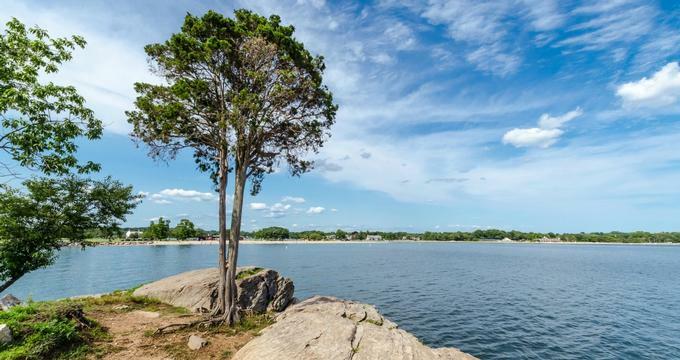 Whether visitors are looking for an all inclusive experience complete with mini golf, an Olympic sized swimming pool, and a food court or a weekend camping near the water with access to nature centers and hiking trails, Connecticut has it all. Calf Pasture Beach is located in Norwalk, Connecticut. Its name comes from its history in the 17th century when the land was used by early settlers of the United States as a grazing land for their cows and livestock. The beach is equipped with a fishing pier, picnic areas, a playground for kids, restrooms, sports facilities, and of course, a large beach with lifeguards on duty. Visitors can sunbathe, swim, or rent a boat and kayak along the Island Kayak Trail. Entry to the beach is free, but nonresidents must pay a parking fee of $30 per car on weekdays and $35 on weekends. Parking after 5:00pm is $10, and all the passes are available for purchase at the beach. At Clinton Town Beach, guests can sunbathe and swim on the beach during high tide and walk out to the sand bars during low tide for a different experience. Boat access is available, as is an old stone bridge over Hammond River for fishing. During the summer season (June until Labor Day), residential visitors must have a pass to enter the beach, and nonresidential visitors must pay a parking fee. The beach features public restrooms, a food concession stand, picnic areas, a basketball court, and a dog exercise trail. Dogs must be on a lead at all times and are not allowed on any of the sandy areas. Hammonasset Beach State Park is the largest shoreline park in the state of Connecticut, with over two miles of beach for visitors to use and enjoy. Besides swimming, sunbathing, relaxing, and enjoying the boardwalk, Hammonasset also offers more than 500 campsites for visitors looking to extend their relaxation. For non-campers, the park is open from 8am until sunset, except with a fishing permit for earlier access. Bathrooms, showers, picnic areas, and concessions are available for guests inside the park, and the Meigs Point Nature Centers hosts educational programs and fun activities throughout the year. Harvey's Beach is a beautiful beach about 100 yards in length that is famous for its stunning white sand. 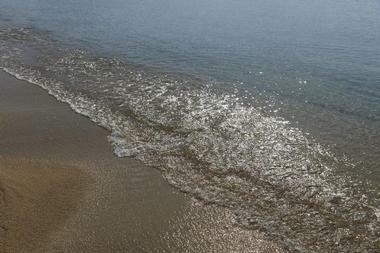 Located in Old Saybrook, Harvey's Beach is an easy half hour's drive from New Haven along Route 95. The beach features a playground for kids, a concession stand, a bathhouse for changing and showers, and of course, plenty of sand, water, and sun. Between Memorial Day and Labor Day, there is a lifeguard on duty for swimmers. Harvey's Beach is host for many activities throughout the season, including yoga classes and lessons for flying kites. The schedules are listed on the website along with further details. 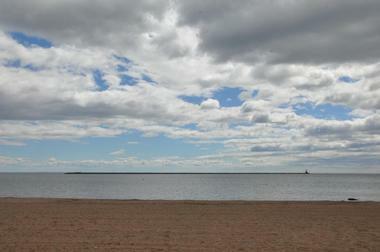 Hole in the Wall Beach is on a 62-acre park located in the town of East Lyme. The park is a part of Quinnipiac University's Connecticut DEEP program, and within its bounds are opportunities for visitors to swim, kayak or canoe, go fishing or crabbing, hike, and enjoy stunning views of the Farm River. Boat launch passes must be purchased for anyone who wishes to use the Hole in the Wall Beach as a launching point for canoeing or kayaking. Dogs are allowed in the park but must be on a leash at all times. Located on Seaside Avenue in Guilford Connecticut, Jacobs Beach is a lovely and peaceful location that is great for kayakers. With kayak racks available for rent while visitors are enjoying the beach or exploring the town, Jacobs Beach has plenty to offer its visitors. A beach volleyball court, a playground for children, a boardwalk, bathhouse, and picnic areas are just a few things you'll find there. Swimming at Jacobs Beach is best during high tide, and at any time the sandy beach is scattered with seashells that are great for collectors or kids. Jacobs Beach is ADA compliant, with wheelchair access in parts of the site. At Jennings Beach, the 27-acre site with its large stretch of sand and its views of the Long Island Sound are just the beginning. The beach is equipped with bathrooms, a concession stand, a volleyball court, and racks for sailboats, with a lifeguard on duty during the summer and swimming lessons available. Jennings is a great destination for families, as it shares a parking lot with a skate park and a big “sand castle” playground. It also hosts lots of exciting events for all ages, including fireworks for the 4th of July, community bonfires on the beach, and family movie nights. McCook Point Park is located in East Lyme, Connecticut, and the beach overlooks Niantic Bay. 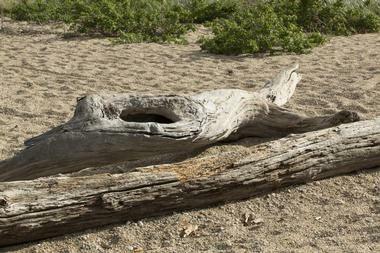 Inside the park are two sandy beaches, McCook Point Beach and Hole in the Wall beach. McCook Point Beach is on the west side of this beautiful bluff and has a boardwalk, walking paths, a picnic area, and restrooms. The small beach and the park in which it lies are host to lots of summer events including shows and concerts. The park is open year round, but from Memorial Day until Labor Day, beach passes are required for entry. Passes can be purchased at the entrance to McCook Beach on Saturdays and Sundays or seven days a week at Hole in the Wall Beach. 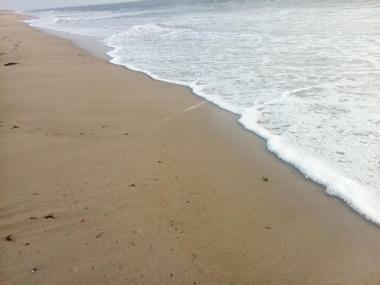 With over half a mile of sandy beaches, MIsquamicut Beach is one of the most popular destinations for locals of both Connecticut and Rhode Island. During the summer season, a lifeguard is on duty from 9am until 6pm each day, and the sandy beach is a great place for sunbathing, relaxing, or drying off after a swim. Misquamicut Beach is equipped with a bathing pavilion, which is a village-like structure that includes several buildings such as a bathhouse, shady gazebos, a concession stand, and a gift shop. Each year, two annual music festivals – Springfest and Fallfest – are held on the beach. Ocean Beach Park is an entire vacation resort packed into one 50-acre park. From the white, sugar sand beach, visitors can swim in the Atlantic Ocean, relax in the sun, and build sandcastles, and from the 50 meter long Olympic freshwater swimming pool, they can swim laps, splash, and swim in a closed environment. For those looking to get away from the water there is an 18-hole miniature golf course, a video game arcade, and a carousel and rides. The Boardwalk Cafe Food Court offers meals as well as snacks and ice cream, and the Nature Walk offers a bird watching observation deck. Ocean Beach Park opens each year on Memorial Day and is open until Labor Day. 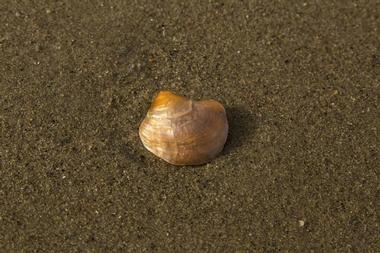 Pear Tree Point Beach lies at the mouth of Goodwives River in the town of Darien. The 8-acre beach is actually made up of two great sandy beaches, equipped with a concession stand, a bathhouse, and an excellent boat launch. Pear Tree Point Beach also has an expansive picnic area with gazebos and grills that is handicap-accessible, which makes it a wonderful destination for a picnic. The beach is also home to the Darien Boat Club, and its marina is perfectly suited to visitors looking to launch their boats for a day out on the water. 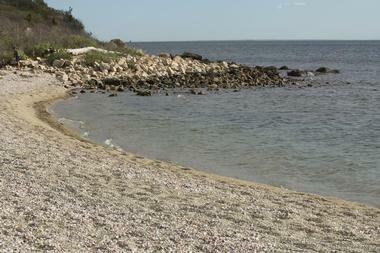 Located in East Lyme, Rocky Neck State Park offers varied terrain for all its visitors. From the salt marsh to Tony's Nose and of course the white sandy beach with its clear waters, a day at Rocky Neck is much more than just a day at the beach. Hiking trails will take visitors through the park to Baker's Cave and the Shipyard, and keen-eyed hikers may even spot some of the abundant wildlife within Rocky Neck, which includes ospreys, mute swans, and herring. At the beach, visitors can swim, picnic, play on the sand, and enjoy the bathhouse and concession stand. There are also 160 campsites in various settings at Rocky Neck for beachgoers who think one day at this beautiful park is not enough. Shady Beach is located in Norwalk, Connecticut, just east of Calf Pasture Beach. This lovely stretch of sand is a picturesque place for a relaxing day at the beach, especially with the shady grove of trees that gives this park its name. Shady Beach is equipped with lots of picnic tables for a perfect day out at the beach, all beneath the shade of trees, and has lots of grills for barbecues and gatherings. Lifeguards are on duty during the summer season for swimmers at the beach. Shady Beach Park is open daily from 7am until 8pm. Sherwood Island State Park is Connecticut's first state park, established in 1914 after a commission decided it was the best location in the county for a shore park. Today, Sherwood Island stands up to that reputation. The beach at Sherwood Island has a designated swimming area with a lifeguard on duty and picnic areas. The park has hiking trails through salt marshes and a nature center where visitors will find a variety of exhibits and displays about the history of the park, and the nature that can be found within. 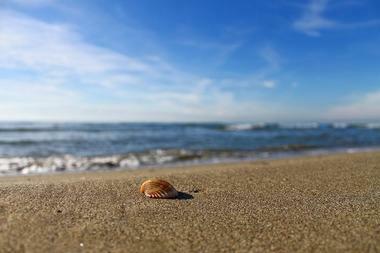 Waterford Beach is nearly a quarter mile long with sandy hills. It is a very rare example of a natural beach, with one of the best in tact systems of dunes in the state of Connecticut. 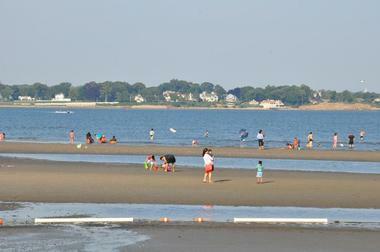 Waterford is an unmodified natural beach, with tidal marshes and a spectacular view of the Long Island Sound. At Waterford Beach Park, visitors will find picnic areas, restrooms, and supervised swimming by a lifeguard. Waterford is a great place to fish for visitors with a permit, and there are also tennis courts for those looking to use them. Located on 297 acres of woods, salt marsh, and of course, beaches, Silver Sands State Park is connected to Milford, CT's Walnut Beach Park by a boardwalk that stretches nearly a mile. Silver Sands is a great place for swimming, fishing, crabbing, and picnicking. During low tide, a gravely, sandy bar called a tombolo connects the park to an offshore island. Access to this island is prohibited from the beginning of May until the end of August in order to protect nesting birds that make their homes there. Because of this, Silver Sands is a perfect spot for birdwatchers, with plenty of herons and egrets in the area.